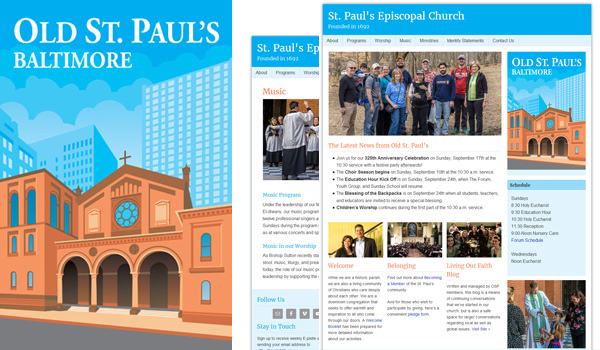 This month, St. Paul’s Episcopal Church celebrates its 325th anniversary, making it the oldest church in Baltimore. I was honored to have been commissioned to create a commemorative illustration and redesign their website. Congratulations, Old St. Paul’s!